Apowersoft is giving TechRadar readers the opportunity to download and install premium screen recording software ApowerREC completely free. The software normally retails at $39.95 (about £30, AU$55) for a year's license. To activate ApowerREC, download and install the software, then click 'Sign up' to register an account. Enter an email address and password, then enter the verification code and click 'Next' to complete registration. After registration, Click your username and and activate your account with the code A5EC7-2A4CP-ND4T3-21F7B. With ApowerREC, you can record your entire screen or a selected area, and add annotations (including drawings, arrows and text) while the capture is taking place. There's a special gaming mode, and you can capture footage from a webcam too (ideal for making Let's Play videos and walkthroughs). Once you've captured video using ApowerREC, you can use the built-in editor to trim it, add titles, and export it in any of the most popular video formats, including MP4, WMV, AVI and MOV. 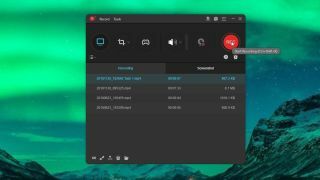 The software also lets you export your videos straight to YouTube or Vimeo, or send them to a cloud storage service or FTP server. Download the software today and activate your free VIP account to make the most of this special offer.